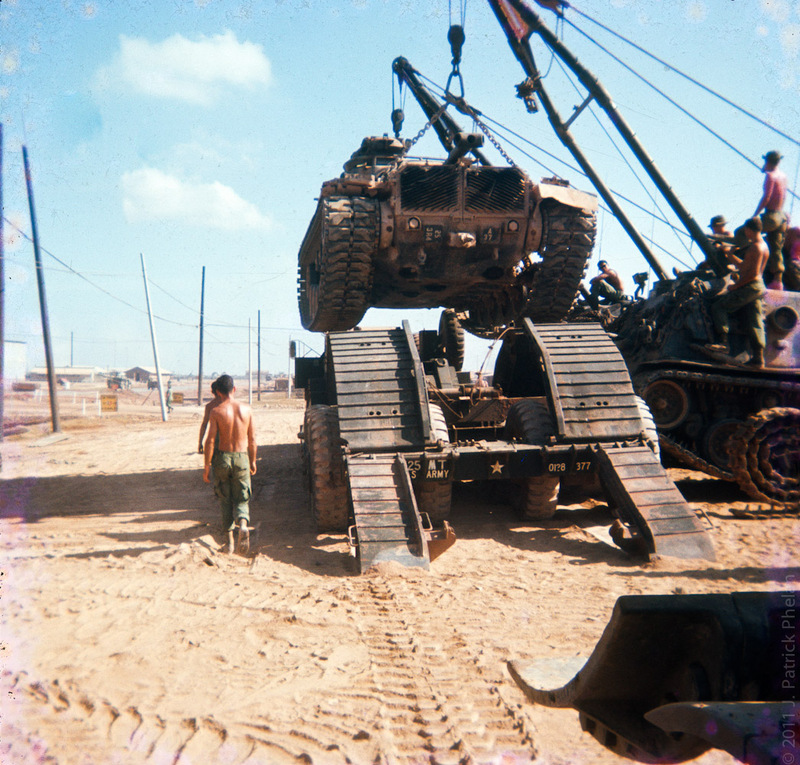 The M48A3 A37 is lifted onto a flatbed by 2 M88 VTRs to be shipped off to probably be retrofitted for a new life. Stripped down the M48 weighed in at 52 tons. The replacement tanks for the M48s were M551 Sheridans that weighed in at 17 tons.